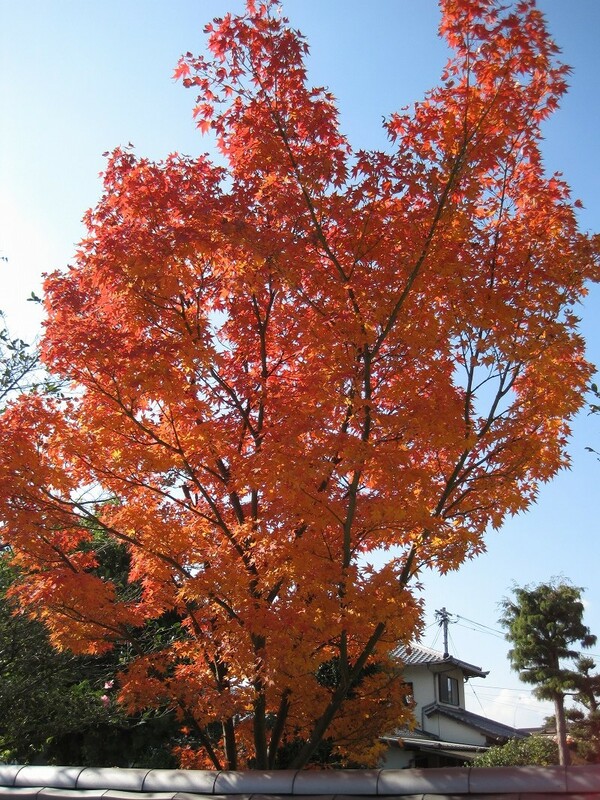 Autumn is a favorite season for many Japanese. Summer heat and moisture will calm a lot in fall and people start to go out for the outdoor activities. 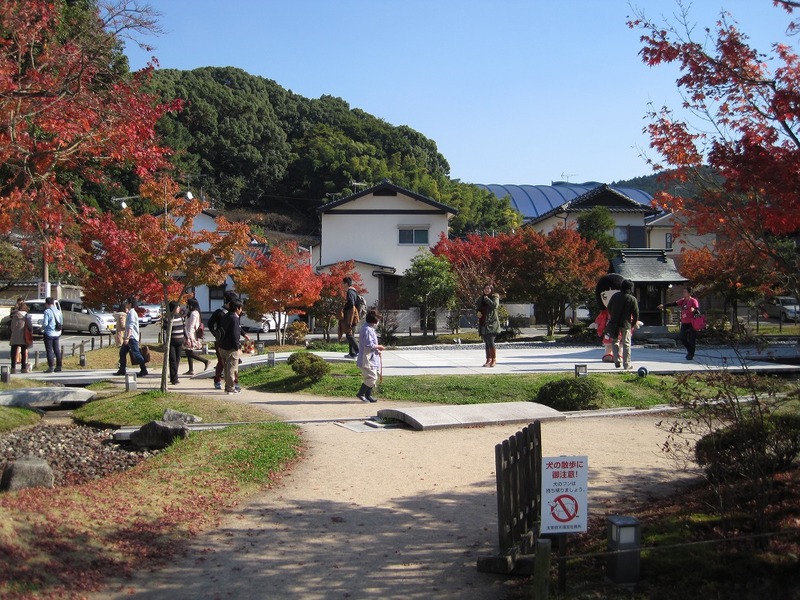 The outdoor activity that people cannot exclude in the fall is to see the Autumn leaves. 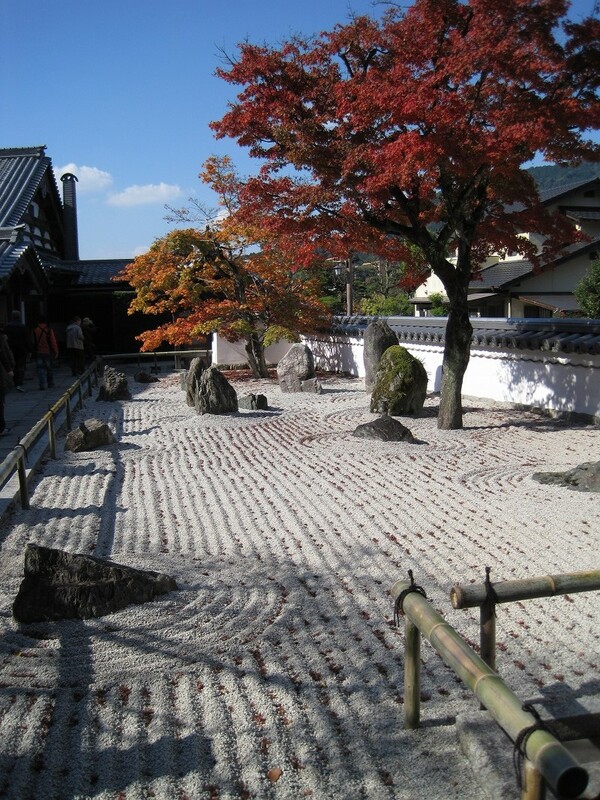 It was the first time for me to visit Komyozenji temple to see that, it’s become one of my favorite places. 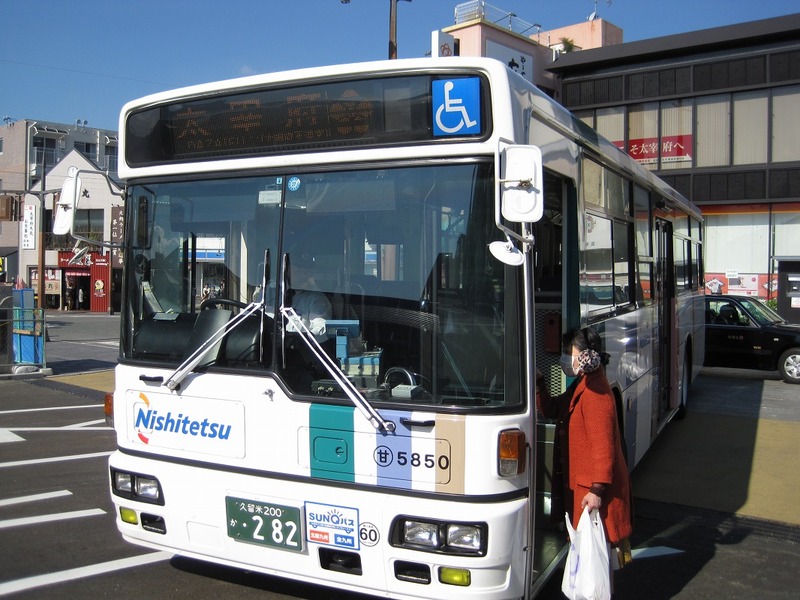 The direct bus departs from Hakata bus terminal, which is next to Hakata station (Turn right after get out from Hakata gate＝博多口). I took the bus from the bus stop 11 in the terminal building. Arrived at Nishitetsu Dazaifu station (西鉄太宰府駅). It takes 40 minutes and bus fare is 600 yen. 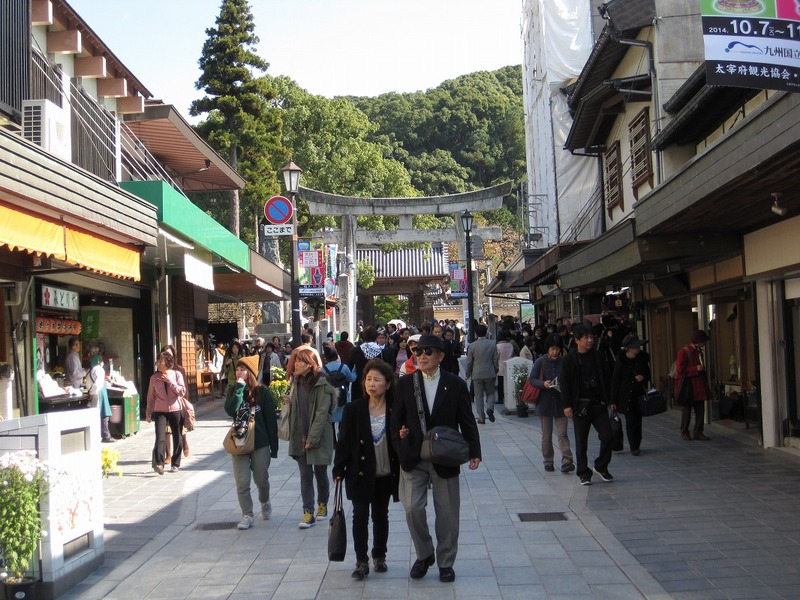 From Nishitetsu Dazaifu station to Dazaifu-Tenmangu is about 5 minutes to walk. 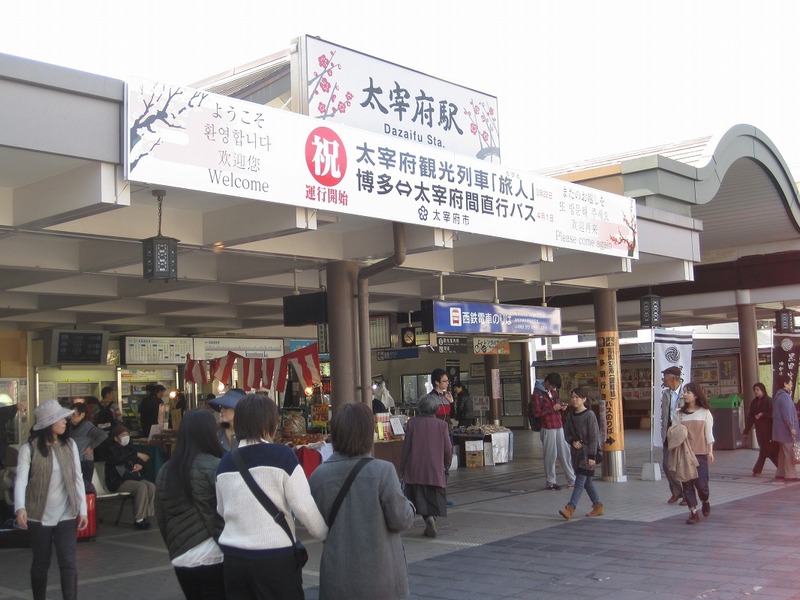 Nishitetsu Dazaifu station. Take a return bus or a train from here as well. 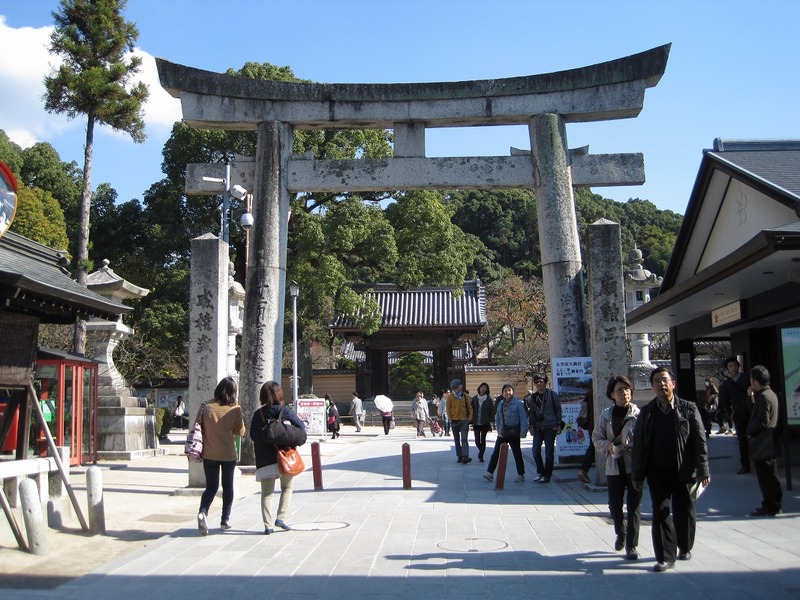 Komyozenji temple is close to Dazaifu Tenmangu, so take a direction to Dazaifu Tenmangu first. If you are not sure which way to go, then follow the people and you won’t miss it. Turn right here in front of this huge Tori (鳥居). 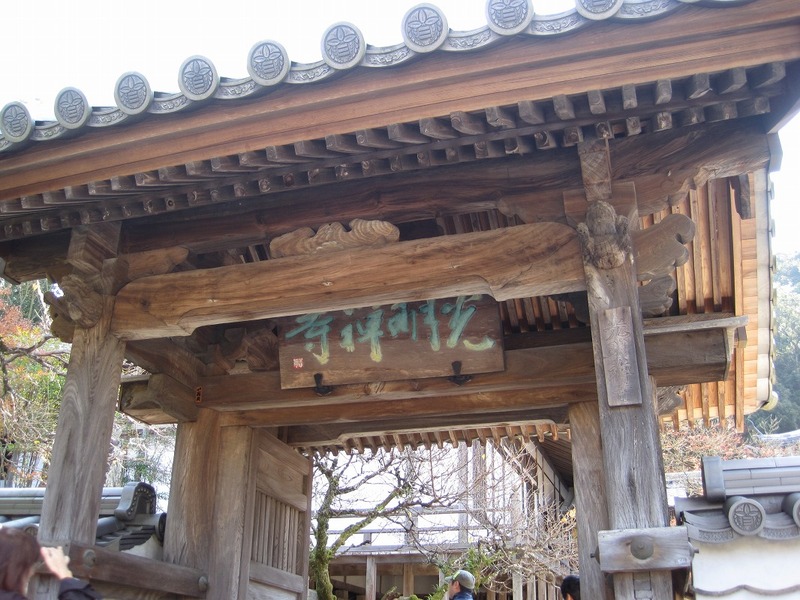 (Go right to Komyozenji temple, go straight to Dazaifu Tenmangu). 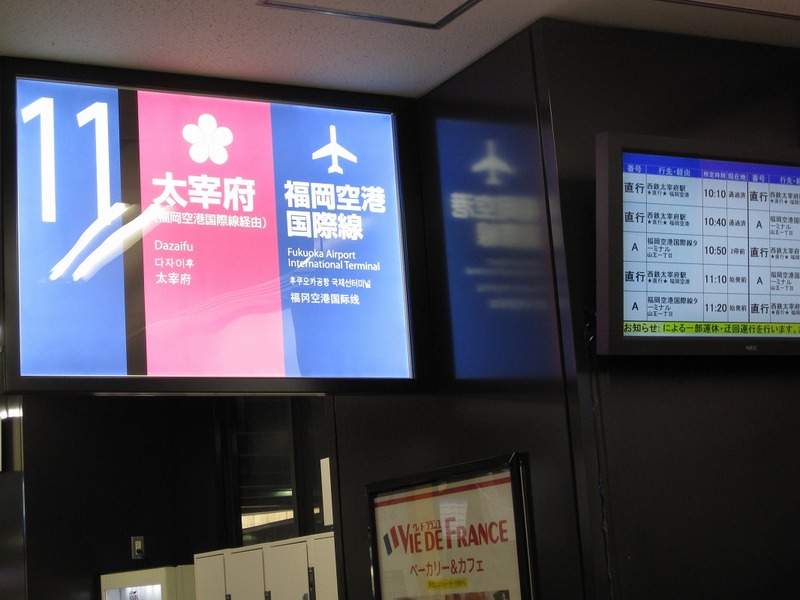 You will find the information board here. It’s a maple tree. 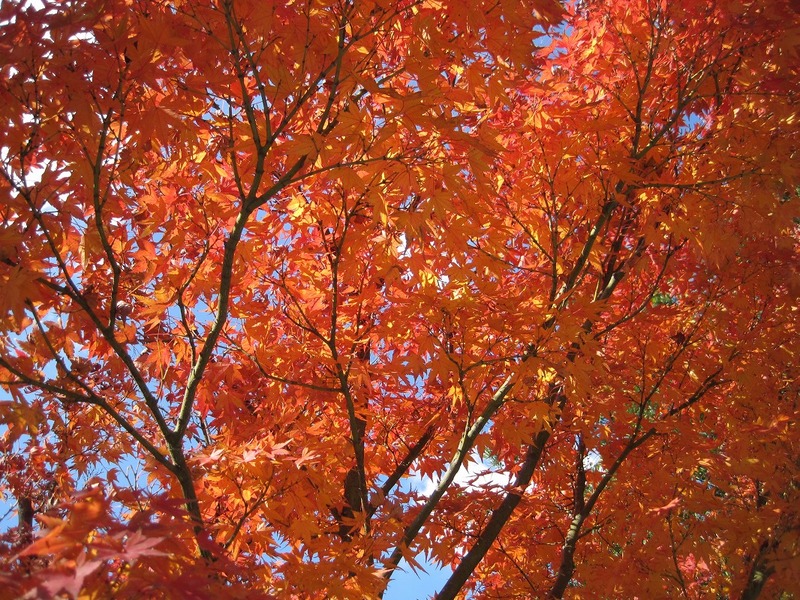 The color of the leaves was going to turn into red from orange. 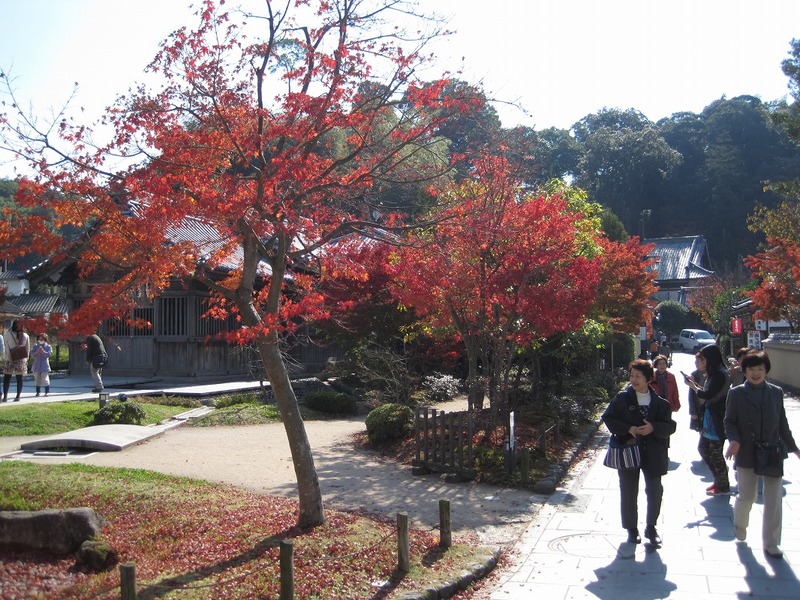 About 2 minutes walk from that Tori (鳥居), arrived at the gate of Komyozenji temple. It was closer than I expected. 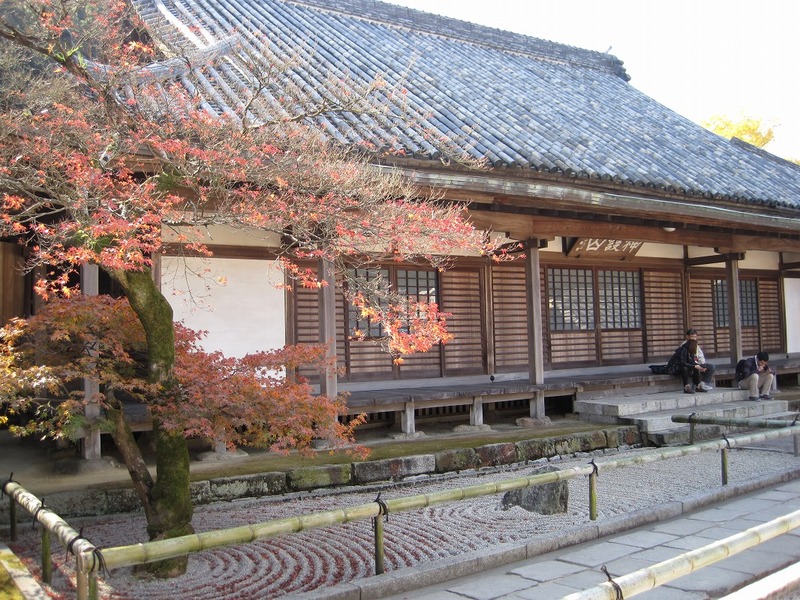 The temple has history of over 700 years and it is famous for its two beautiful gardens. 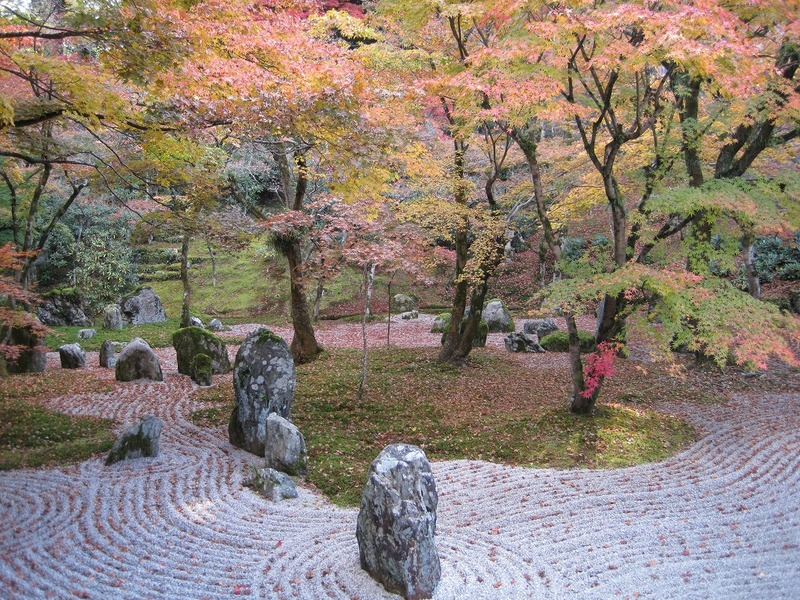 The front garden represents the word “light” in Japanese using the 15 stones. And let’s go inside of the temple to see the inner garden. 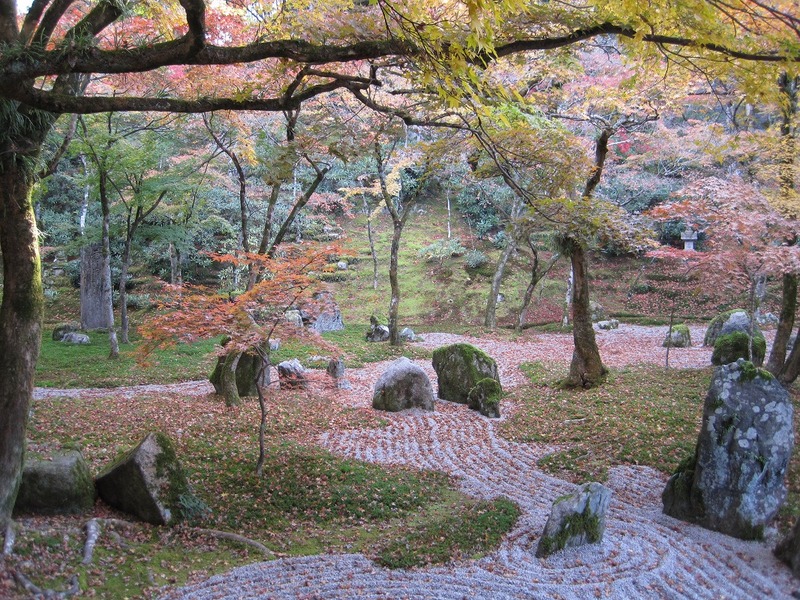 Inner garden is widely known as the nickname of “Moss temple (苔寺)”, and it represents the land by the blue moss, and the ocean by the white sand. It was an amazing view just like paintings. People were enjoying this beautiful garden. 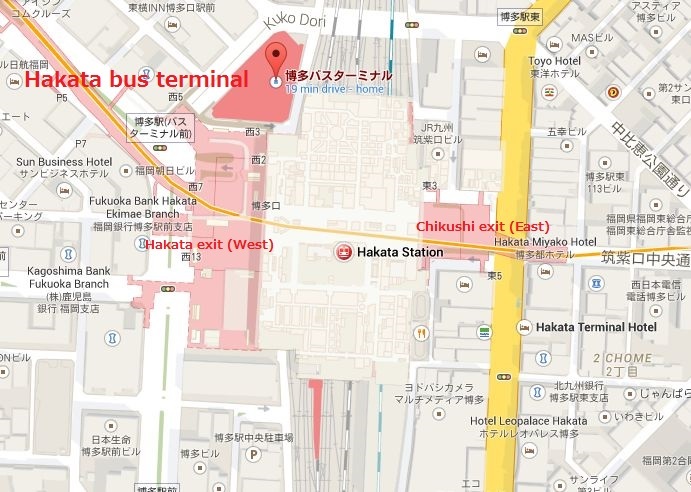 From Hakata station– Take a direct bus from Hakata bus terminal. From Tenjin station– Use Nishitetsu Omuta line(西鉄大牟田線) to Nishitetsu Futsukaichi station(西鉄二日市駅). 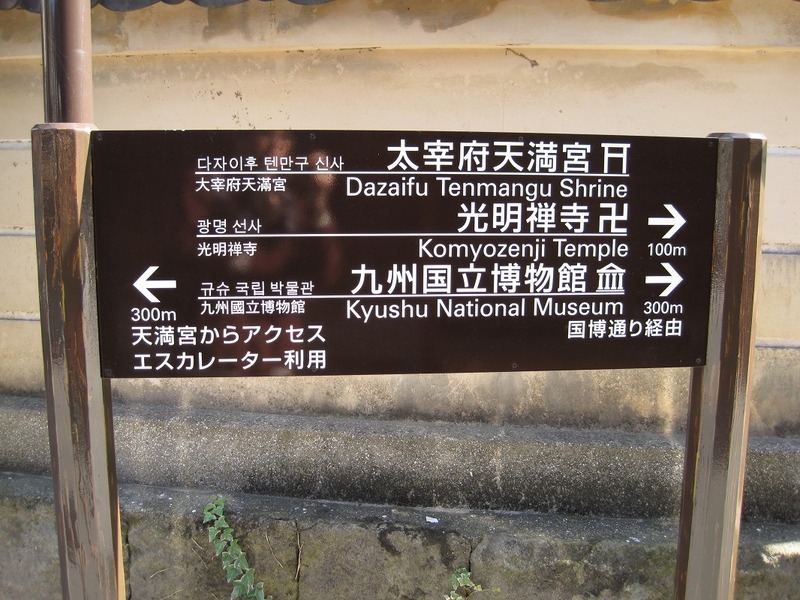 Then change the train to Nishitetsu Dazaifu line(西鉄大宰府線) and get off at Nishitetsu Dazaifu station(西鉄大宰府駅). ← Only locals know? How to get a discount seafood & Tuna cutting demonstration!